The Gospel of St. Matthew Shares with us astonishing words of Jesus: a promise of everlasting happiness, far removed from the usual recipes for gratification. Blessed are the poor in spirit! Blessed are those who mourn! Happy are the meek!... Fr. 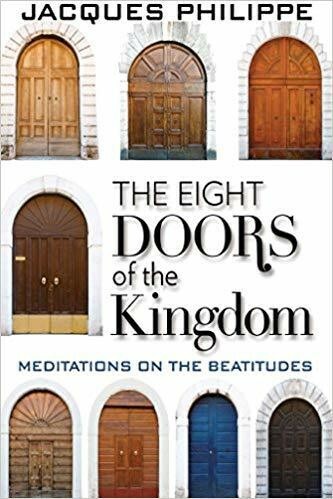 Jacques shares with us a profound clarity to the full scope of meaning behind Christ's eight beatitudes, and in turn, outlines for us a way in which we can live them in our daily lives. We learn how each beatitude gives insight into how we can situate ourselves in an honest and fulfilling relationship with God, with oneself, and with others, and how to confront head-on the difficult realities of life. Author Bio Fr. Jacques Philippe is a member of the Community of the Beatitudes, founded in France in 1973. After studying in Nazareth, Jerusalem, and Rome, he was ordained a priest in 1985. He primarily devotes himself to spiritual direction and preaching retreats internationally, and his published books on spirituality are the consolidated result of such work. His books Real Mercy, Interior Freedom, Fire & Light, and Thirsting for Prayer, among others, are also available from Scepter.